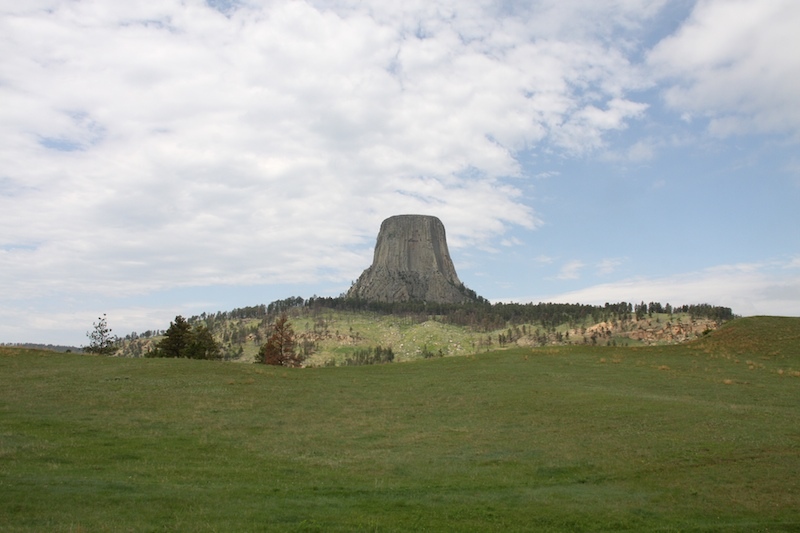 More popularly known as Devil's Tower. 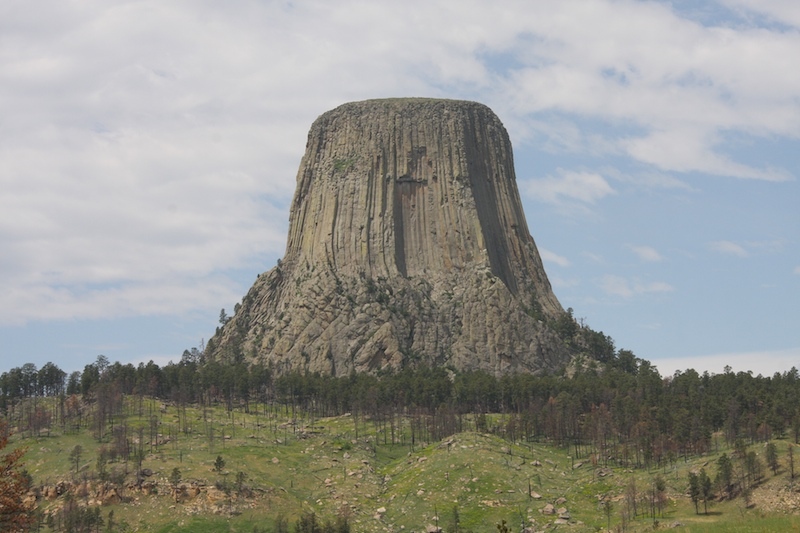 Devil's Tower is an amazing butte that rises above the hilly grasslands in Wyoming. 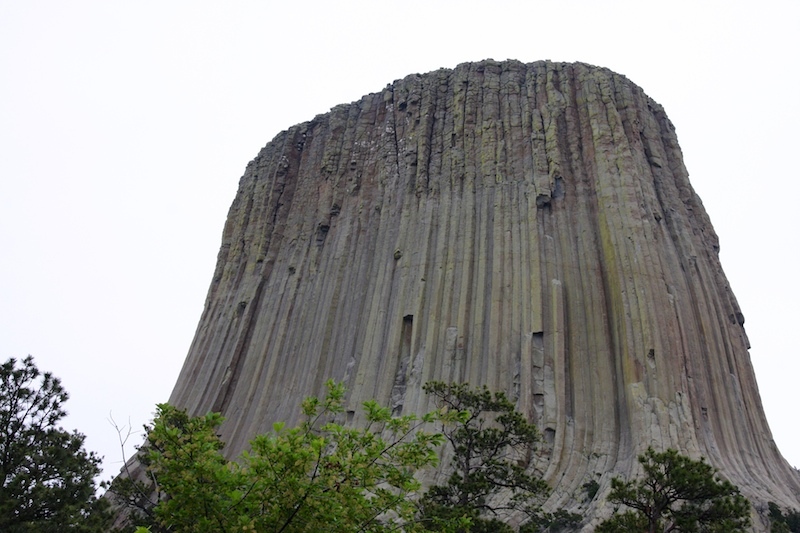 Geologists agree that it was formed by magma forcing into or between other rock formations. But I'm no geologist and while I do think it's interesting how this could have happened, I can't understand the terminology well enough to paraphrase it here. What I do love though, is the Native American legends of this tower. They believe this place to be a very sacred site. Over 20 tribes have cultural affiliations here. There are different legends that have been passed down for generations. Some Indians call it Mato Tipila, meaning Bear Lodge. Some of the legends talk about Indian children who were lost from their tribe. A great bear chased after them but when they jumped upon a great stump, it grew into the enormous stump formation it is today. 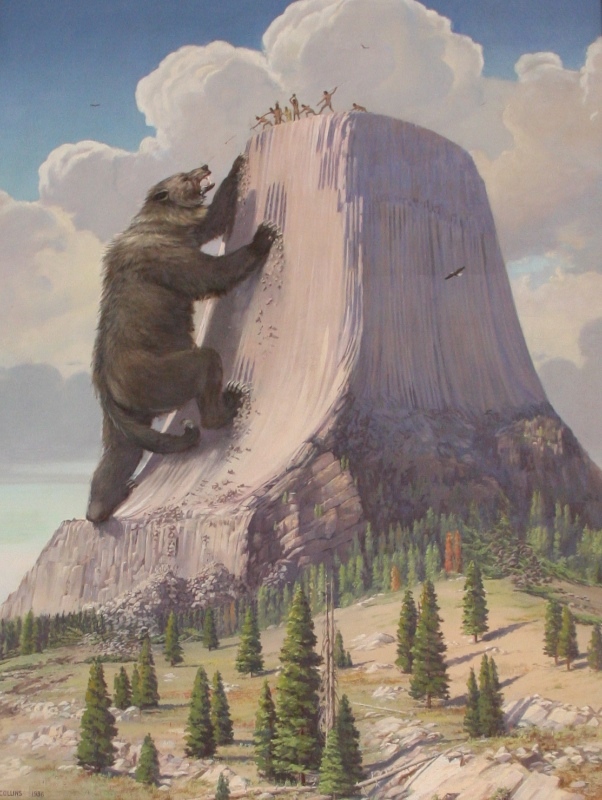 The bear tried to claw up the stump to eat the children, creating the vertical impressions into the rock, but he could never reach them. I remember driving past this on our road trip to Wyoming a few years ago. Encounters of the Third Kind.